Just Hear a Siren? No Worries, it was a Test. If you heard a siren just a short time ago anywhere from King Salmon to Cutten — and perhaps beyond — not to worry. It was only a test. The Humboldt County Office of Emergency Services just sent out a Facebook post noting PG&E was performing a test on the King Salmon power plant and states “there is no emergency.” The office refers any questions to PG&E public relations or plant operations. 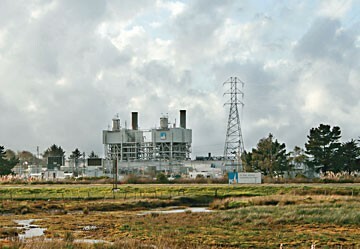 PG&E was performing a siren test at the King Salmon power plant a short time ago, which has been reported as audible from Cutten. This was just a test, there is no emergency, and PG&E public affairs should be contacted with any questions about plant operations. Info will be posted on this page asap in the event of a local emergency.